Feds Didn't Tell Boston Police About Probe Of Tsarnaev : The Two-Way Before the Boston Marathon bombings, Russian officials had asked the FBI to look into Tamerlan Tsarnaev's possible ties to extremists. But police in Boston weren't told. Tsarnaev, who's now dead, and his brother are the main suspects in the attack that killed three people and wounded more than 250. "The FBI never told the Boston police or the Massachusetts State Police about possible Russian terror connections of the suspected Marathon bombers until three and half days after the attack, law enforcement officials testified today before the House Homeland Security Committee," ABC News writes. Boston Police Commissioner Edward Davis. The network adds that Boston police commissioner Edward Davis said "his department was not told before the bombing that the FBI had opened an investigation into Tamerlan Tsarnaev, or that Tsarnaev had traveled to the North Caucasus, even though he had three detectives and a sergeant assigned to the Joint Terror Task Force with the FBI." If Boston police had known that Russian authorities asked the FBI to check into Tsarnaev's possible ties to extremists in Dagestan, and that such an investigation had been done, "we would have taken a hard look at these individuals," Davis said, according to Boston Magazine. The Boston Globe adds that the revelation about what Boston authorities weren't told "drew outrage from members of the House Committee on Homeland Security. ... 'The idea the feds have this information and it's not shared with state and locals defies why we created the Homeland Security Department in the first place,' said Representative Michael McCaul, a Texas Republican and chairman of the committee." Still, The Associated Press writes that while Davis said he would have liked to have known that federal authorities had been investigating Tsarnaev, that knowledge might not have prevented the attack. The FBI, he noted, had closed its case involving Tsarnaev. "I can't say I would've come to a different conclusion based on the information at the time," said Davis. "Soft targets" such as the Boston Marathon and other public events need to be made more secure from terrorist attacks, Boston Police Commissioner Edward Davis told Congress on Thursday. "This need, however, must be balanced against the protection of our Constitutional liberties. I do not endorse actions that move Boston and our nation into a police state mentality, with surveillance cameras attached to every light pole in the city. We do not, and cannot live in a protective enclosure because of the actions of extremists who seek to disrupt our way of life." -- "In the future we will review the need to deploy more assets including technology, cameras, undercover officers and specialized units. We will continue to enhance preparedness training for all of our officers to protect these large events." -- "My police career has been built on the concept of community policing that encourages our officers to get out of cars, talk with people and solve problems in partnership with the community. This absolutely works. The community played a critical role in this fight against terrorism. In Watertown, [Mass.] despite heavy police presence for more than 12 hours, and a house by house search in a twenty block perimeter for one of the two suspects, it was the critical observation of a neighbor that something was amiss in his backyard that led to the capture of one of the bombers. In Boston, it was the cooperation of the owners of the Forum Restaurant whose video cameras led to the identification of the two terrorists. 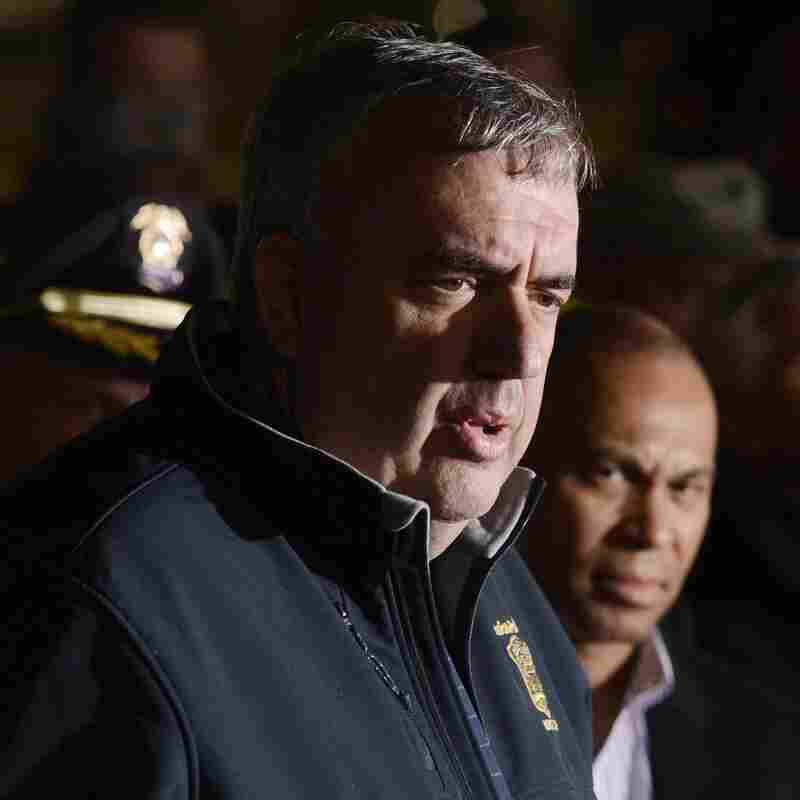 It was the cooperation of the people of Boston, Watertown, and several other neighboring communities who voluntarily assisted our police departments by staying indoors during this protracted manhunt that led to the safe resolution of the capture." "These efforts are not intended to chill or stifle free speech, but rather to protect the integrity and freedom of that speech and to protect the rights of victims and suspects alike." -- "I also encourage the federal government to continue the important funding for the hiring of police officers as well as intelligence analysts, who are needed for both the prevention of further crimes as well as to respond to incidents such as this one." -- "Additionally, law enforcement needs secure radio bandwidth in a public safety spectrum dedicated exclusively to public safety use. We cannot rely on commercial carriers for public safety emergency communications." The House Committee on Homeland Security is webcasting its hearing and has posted the statements from Davis and other witnesses here.